A veteran computer scientist hates sitting in his car at stop lights, so he creates software that makes the experience less annoying. A former engineering professor wants to double the range of today's electric vehicles. And an aeronautics expert believes flying cars shouldn't be science fiction. It's no secret that technology is changing the car industry. The major automakers, as well as tech giants such as Google and possibly Apple, are laying the groundwork for the first driverless cars. Traffic lights bring order to intersections, but have their inconveniences: They turn red when you're in a hurry; they take forever to change green. And then your mind wanders while you wait—until the guy behind you starts leaning on his horn. Entrepreneur and computer scientist Matt Ginsberg hates red lights. So he started Connected Signals, based in Eugene, Oregon, to collect real-time data from cities that synchronize their traffic signals. The company's smartphone app tells motorists if an upcoming signal is about to change color. It shows drivers how long they'll have to wait if a light is red—and chimes a warning just before it turns green. The app helps prevent distraction, unnecessary acceleration and delays, Ginsberg says. BMW has added it to its driver display. Ginsberg also sees an opportunity in selling data for automotive systems that shut off a car's engine to save gas during longer red lights. One hurdle is getting the raw data from individual cities: Ginsberg has agreements with about 100 towns and hopes to cover half the United States by 2017. Sam Friedman and Alex Israel missed the start of a movie because they couldn't find a place to park. That's when the two young men, friends since kindergarten, decided to launch a company. Los Angeles-based ParkMe is one of several startups with smartphone apps that help drivers find, reserve and pay online for parking spots. But it's gone further than most in solving the data hurdle: ParkMe boasts parking information from 1,800 cities around the world, much of it collected via live feeds from ticket dispensers at commercial and municipal lots. ParkMe also gets street parking data from meters that accept credit cards and from cities that use pavement sensors for parking enforcement. While it uses the data in its apps for drivers, ParkMe also sells it to planning agencies and car companies, including Audi, for their navigation systems. That little diagnostic port under your car's dashboard isn't just for mechanics. It can provide useful information for drivers and insurance companies, too. Several startups use matchbox-sized devices that plug into the port and send information on a car's performance to the driver's smartphone. San Francisco startup MetroMile goes further. It sells car insurance on a pay-per-mile basis, using a similar device to verify the miles driven. Other insurance companies are trying similar devices to track drivers' behavior, but MetroMile says it won't penalize a customer for speeding or slamming the brakes. The company promises significant savings for people who don't drive much. That may limit the potential market, although CEO Dan Preston says drivers also get useful information from MetroMile's app. You don't need to wait years to enjoy autonomous driving. At least that's the premise behind Cruise Automation's "highway autopilot" kit. Cruise engineers have retro-fitted some recent Audi models with prototype kits consisting of rooftop sensors, a computer in the trunk and controls that fit behind the steering wheel. Founder Kyle Vogt says the system will keep a car within its freeway lane, while steering around curves and maintaining safe distance from other vehicles. Vogt, a software engineer who helped launch streaming video service Twitch.tv, told The Associated Press in December that he hoped to deliver the first Cruise kits to customers this year. But he stressed the importance of testing before releasing the product, to ensure it is safe. While Cruise received a permit in June to conduct tests on California highways, a spokesman recently declined comment on its timetable. Most electric vehicles on the market only go 100 miles on a charge. A better battery is the industry's "Holy Grail," says investor Quin Garcia of Auto Tech Ventures, which funds automotive startups. Sakti3, based in Ann Arbor, Michigan, is among several startups trying new approaches to lithium-ion batteries. Founder Ann Marie Sastry, a former engineering professor at the University of Michigan, was invited to a White House event this month to explain her ideas for making powerful batteries more cheaply. It's not enough to come up with an idea for a new battery, Sastry said. "If you can't make it cost-effectively, you can't have an impact." She's using computer simulations to design processes for making solid-state batteries that are lighter and hold twice the energy, providing more range. Appliance-maker Dyson Inc. has invested in Sakti3 and wants to use its technology. General Motors is also an investor. 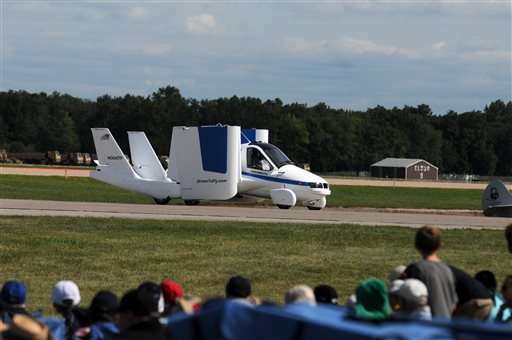 Terrafugia, a privately backed startup in Woburn, Massachusetts, admits on its website that flying cars have become a pop-culture symbol for dreams that don't come true. CEO Carl Dietrich wants to change that. 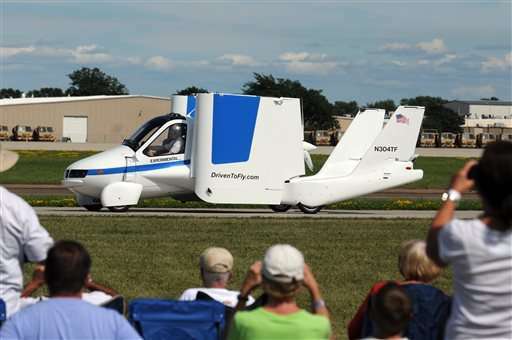 Two years ago, Dietrich and his co-founders—all MIT graduates—wowed observers at a Wisconsin air show by flying a gasoline-powered light plane the size of an SUV, which can fold its wings and meet legal requirements for highway driving. The company hopes to deliver a version to customers in 2017, at an anticipated price of $279,000. Terrafugia is also working on a concept for a sleeker, electric-powered vehicle with rotors for vertical takeoff. 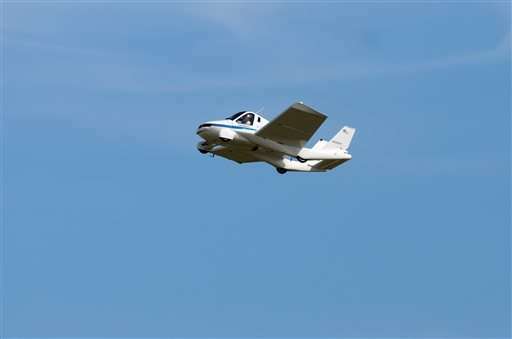 But Dietrich acknowledged it will take years to achieve his goal of using software and automation to build a car that doesn't require a pilot's license to fly. 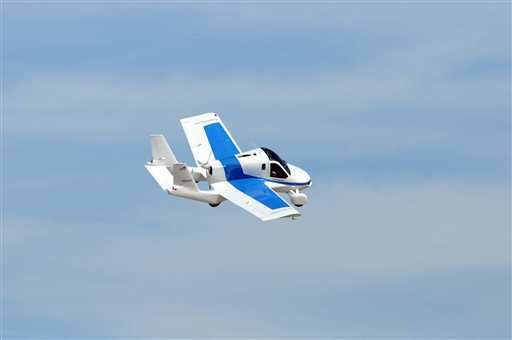 "Our first product is very much an airplane that can be driven," Dietrich says, "but it's putting our company in position to make a car that can fly."